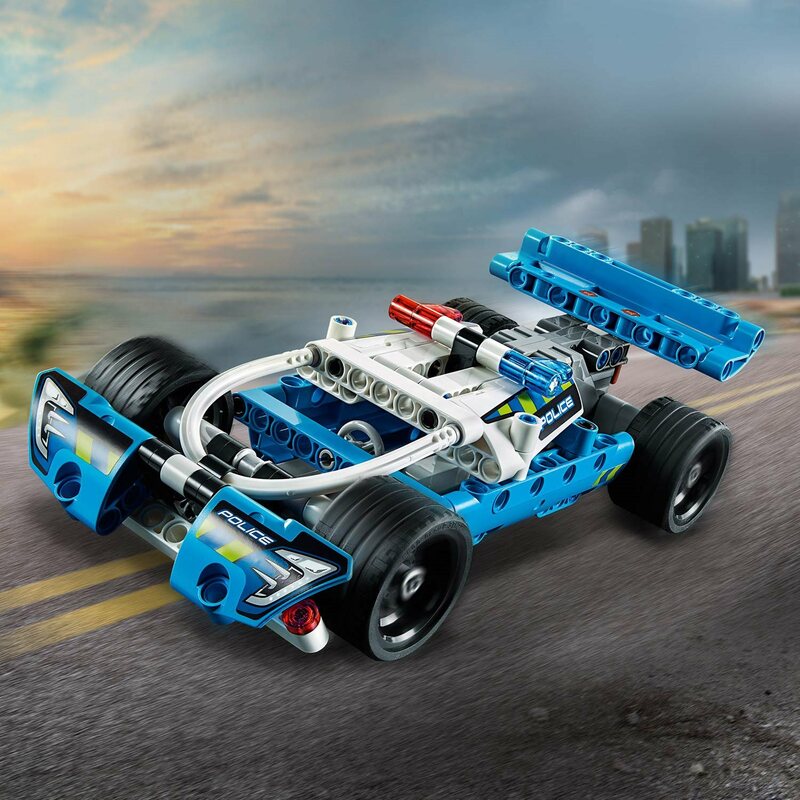 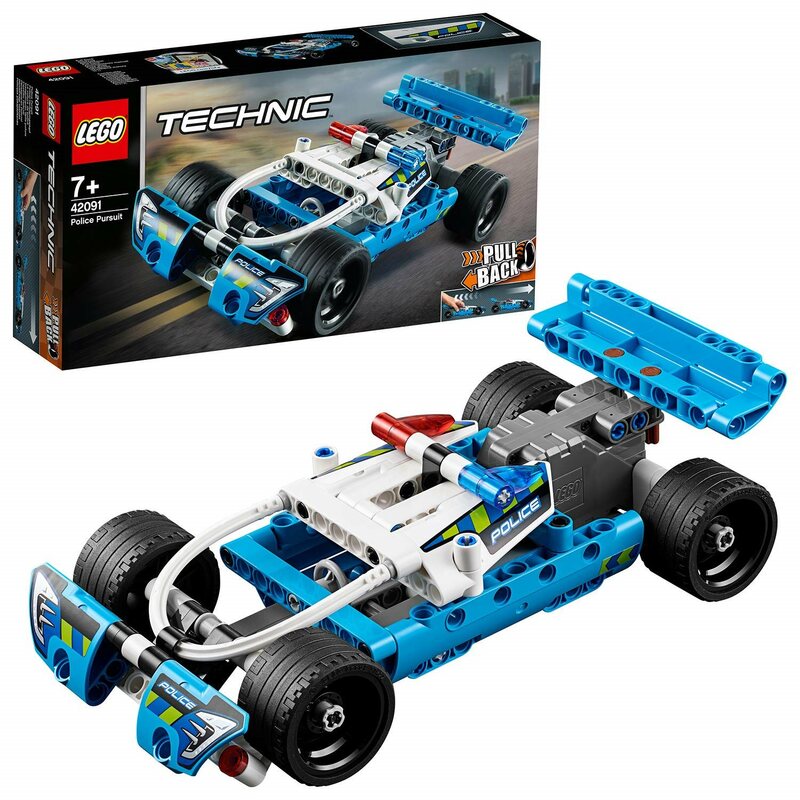 Power up the pull-back motor and start a high-speed chase with the sturdy Lego Technic 42091 Police Pursuit vehicle! 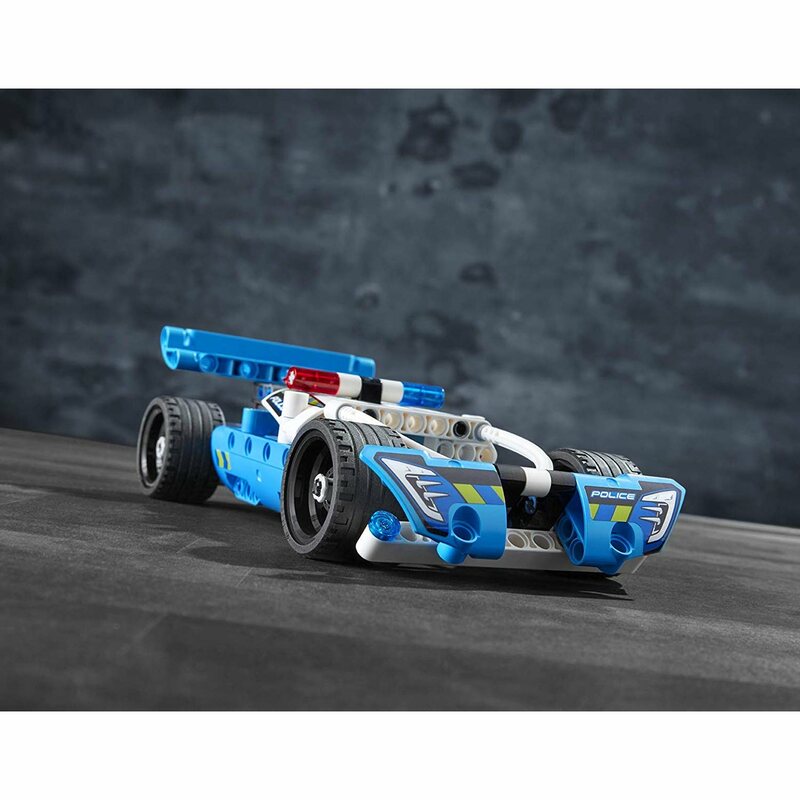 This police car toy features an awesome blue, white and black colour scheme with cool police stickers, red and blue warning beacons, aerodynamic front bumper, large rear spoiler and wide black rims with low profile tires. 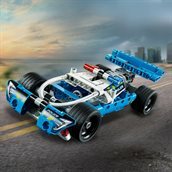 Combine it with the 42090 Getaway Truck pull-back for action-packed car chases, or to create the Ultimate 4x4 combi model. 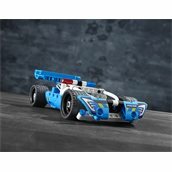 Check out the blue, white and black colour scheme with cool police stickers. 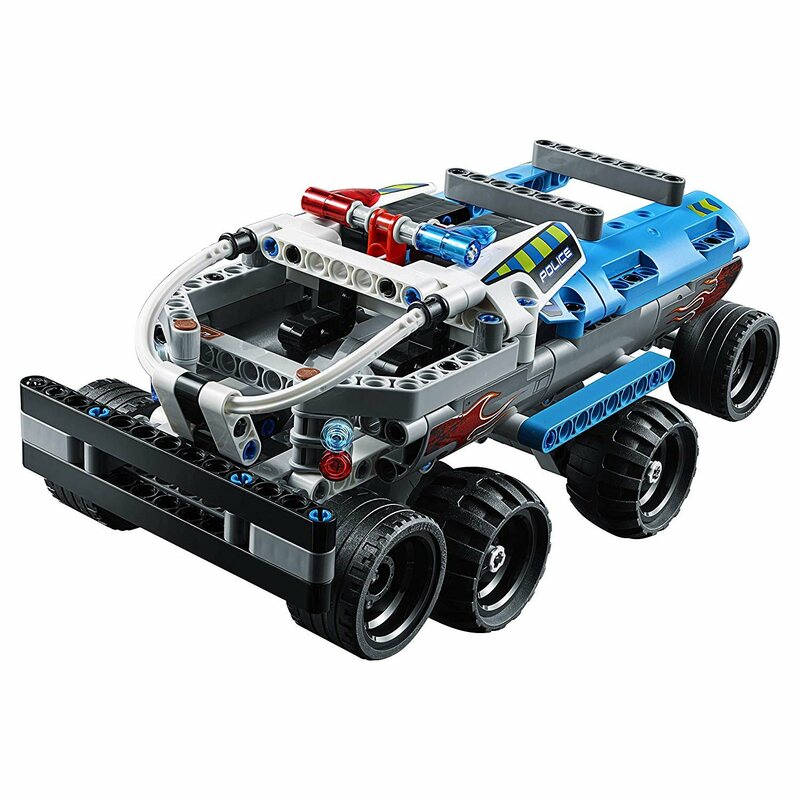 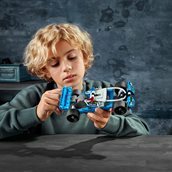 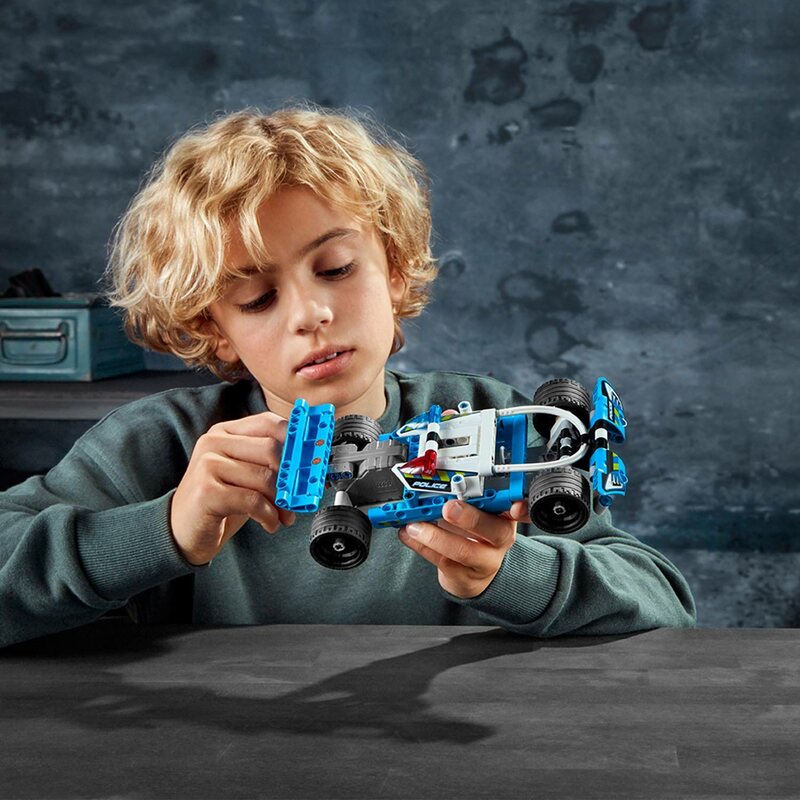 This play vehicle is ideal for budding Lego Technic builders, improving hand-eye coordination and sparking imaginative play.